Enjoy the best inspirational, motivational, positive, funny and famous quotes by Antony Tudor. Use words and picture quotations to push forward and inspire you keep going in life! 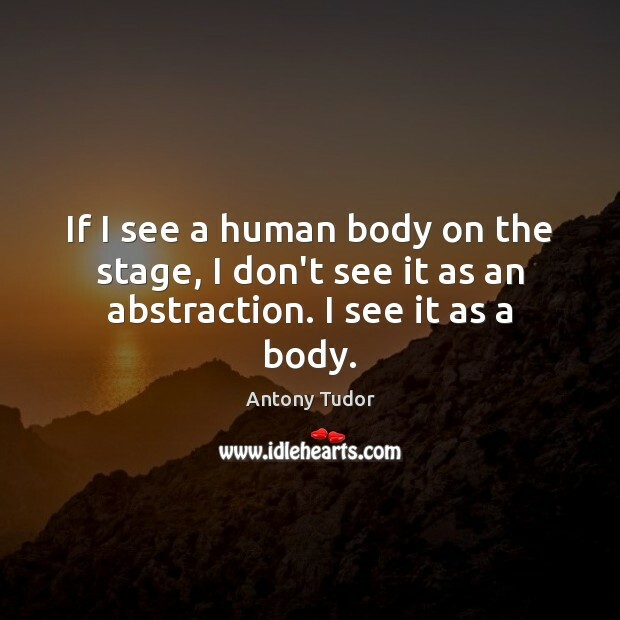 If I see a human body on the stage, I don't see it as an abstraction. I see it as a body. Sometimes I feel as if sections of my ballets were done for me - that I didnt do them myself. I would like to tell all dancers to forget themselves and the desire for self display. They must become completely absorbed in the dance. 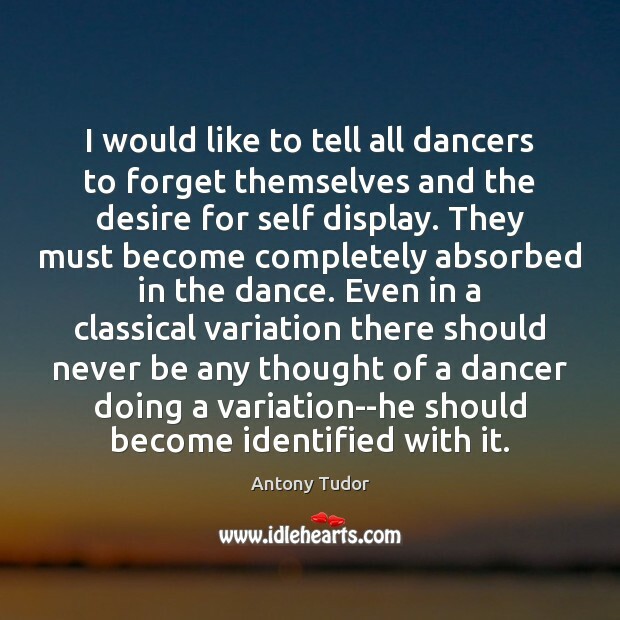 Even in a classical variation there should never be any thought of a dancer doing a variation--he should become identified with it.